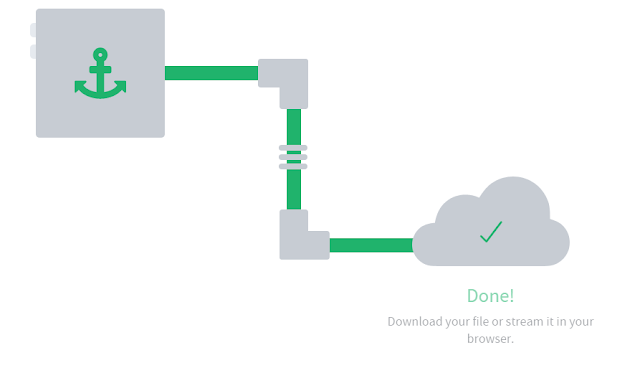 If you don't want to download any torrent file but want to play or view it on cloud anytime, anywhere, then you should try BitPort.io! Yes! You read it right! One of the coolest features of BitPort is you can access every file on all your devices. You can stream and play videos from your home, school, or even at work. BitPort is a freemium type of web service that lets user download torrents easier and faster directly to members' own cloud without installing any application (You don't need uTorrent or any BitTorrent software). Also, you aren't actually downloading and saving torrent files on your hard disk. Thus, you don't have to worry about your bandwidth in your Internet, right? BitPort has a feature that files can be played anywhere or any time, on all devices. Well, from its word "Free+mium" or Free-Premium! While it offers free service, but there are limitations to it. In free, users can only download a maximum file size of 2GB with the download rate of 100MB/hour. And it is not enough SAFE because it is not checked by ANTIVIRUS and its connection is not secured. With Premium accounts, the user can have an unlimited download speed, 250 GB of storage, antivirus scanning, and HTTPS connection, and the user shall pay $5 per month. How does BitPort work actually? 1. You just copy the link of the Torrent file to BitPort text field. 2. BitPort will download those files to the users' cloud. If you are interested, you can visit BitPort.io!